Our mission is critical, and “good enough” simply isn’t good enough for us. Terrorist attacks, active shooters, natural disasters, and cyber assaults are only some of the critical events Everbridge plans for every day. Across the globe, thousands of corporations, government agencies, and nonprofit institutions rely on Everbridge to help keep people safe and operations running. That’s a big responsibility and it drives every decision we make. We’re a diverse team of talented, motivated, and passionate individuals. Our employees are our most important and greatest assets. They build and own the company culture, enforce our values and their passion fuels our continued innovation and growth. We’re a dedicated team of overachievers. It’s baked into our DNA. We ask “Why not?” and choose to take on the most complex challenges with confidence because we know that together #TEAMEverbridge can accomplish anything. Individually we are amazing but together we are remarkable. 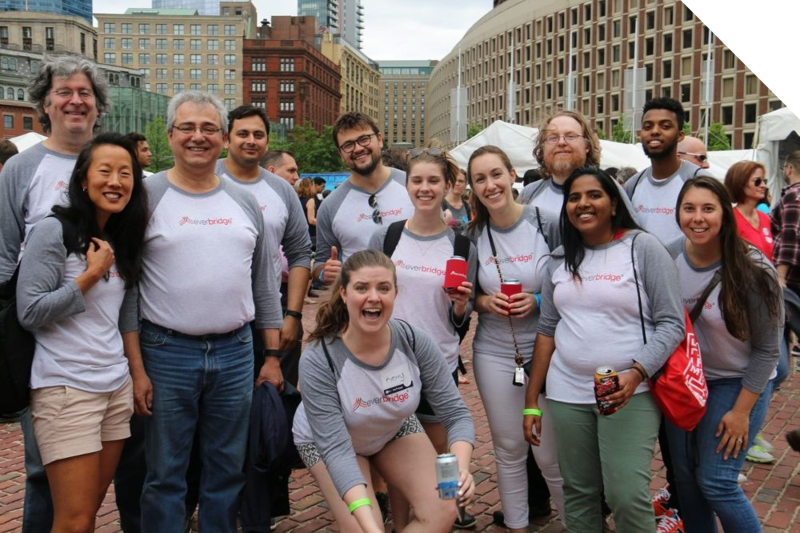 #TEAMEverbridge: Why Do We Work Here? 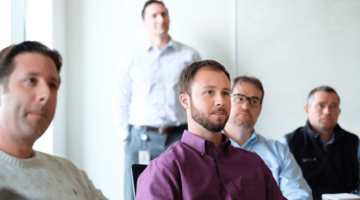 We’re a mission-driven organization with an embedded commitment our employees’ success. Our people continue to prove – time and time again – that they’ll over achieve and deliver best-in-class results. As an organization, we’ll ensure you have the support you need to do so. We take the time to appreciate the individual contributions that make our collective success possible. We promote from within, we advance swiftly, and, as our VP of Corporate Development likes to remind us, “it takes a village” to thrive, prosper and grow. #TEAMEverbridge: What is our Culture? Since our IPO in 2016 we have consistently exceeded expectations. We rapidly scaled to a technology leader and remain on a fierce growth trajectory. Maintaining this rapid growth means we have to understand that our results are more important than the number of hours we work or where those results are produced. We are laser-focused on over achieving and making informed, data-driven decisions that are the cornerstone of everything we do. Our passion for our work feeds our obsession to outperform and exceeding expectations is what #TEAMEverbridge does best. We encourage autonomy and we own our results. We know that remarkable people create equally remarkable outcomes, and we understand that remarkable outcomes rarely unfold as a result of modest risk. We foster the mindset that it’s better to try and sometimes fail, rather than to ‘sit tight’ and fail for sure. 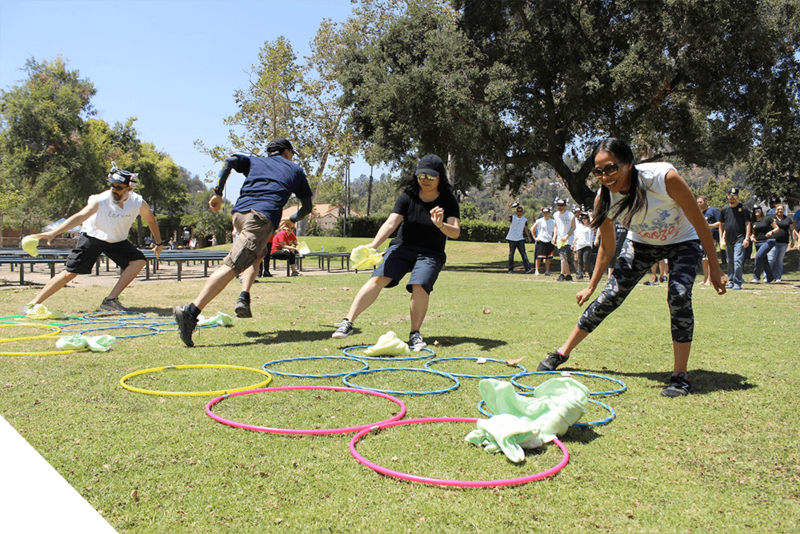 On a daily basis #TEAMEverbridge forges a path through uncharted territories, knowing that – if we fail – we’ll learn from our mistakes and improve. We have said it before but it’s important that we say it again: Our employees are our greatest assets. This guiding principal means that we don’t passively listen to their opinions, we ACTIVELY seek and EXPECT to hear and learn from them. At Everbridge, all employees – regardless of role, level, or title – speak up, speak out and weigh in. The reason for this is simple: We maintain an ever-present mantra to challenge the status quo, relentlessly adjust as necessary, and perpetually improve. That core business imperative is set from the top down and is a mindset we looking for in every member of #TEAMEverbridge. We believe it defines, not only our success, but who we are and acts as a guiding principle behind who we hire. We aim to exceed customer expectations and expand the value we provide to every customer. 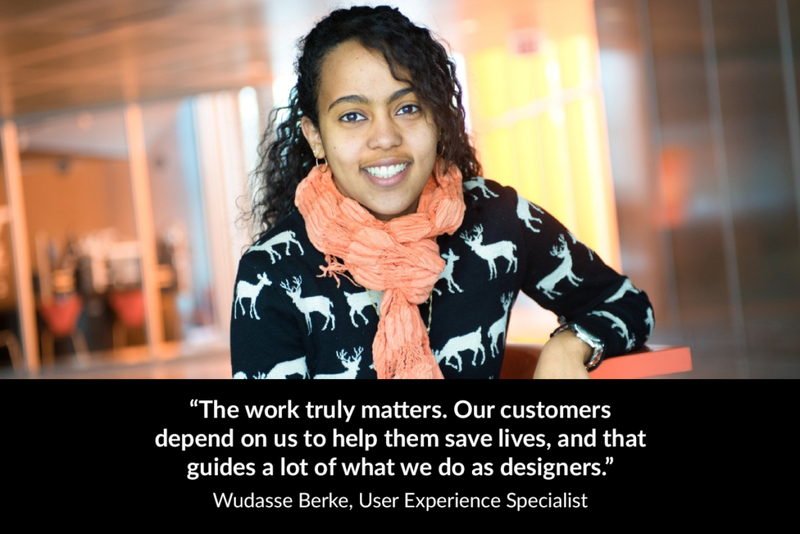 After all, our customers sit at the center of why we do what we do. We expect every employee has this mindset regardless of your function, title, or level. Before any decision we ask, "how will this benefit our customers?" That makes it easy to prioritize what we do and how we spend our time? We are driven by an unyielding passion for our mission, our customers, our team, and our company. It is part of our core and baked into the DNA of every member of #TEAMEverbridge. We believe our passion defines us and is the core attribute that has fueled our unprecedented success. Every strategy we define, tactic we execute and decision we make is lead with integrity. We are focused on the highest standards of ethical business conduct and guided by a simple principal: Do the right thing. Integrity means that our customers can have faith that we will meet our commitments and that our employees can trust each other to deliver on commitments. Every member of #TEAMEverbridge is a leader. We are self-aware and self-critical, but never arrogant. We maintain a sharp eye for analytics that drive high performance, while remembering to empower others and encourage diverse perspectives. We lead by example and encourage everyone to shine. Whether they’re retired from active duty or currently serving, members of the military offer highly valuable skills and expertise to the companies that hire them and often, they need specialized support in return. 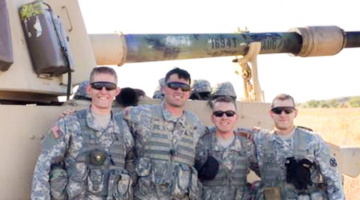 Here, Everbridge team members John Goodson, Ben Potter, and Jonathan Wilkerson explain what it was like to transition from the military to the civilian world, how their backgrounds inform their roles at Everbridge, and how the company makes it possible for them to continue to serve. 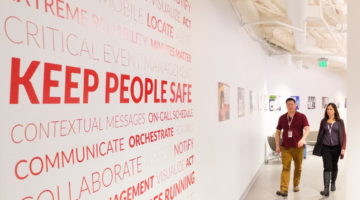 Customers rely on Everbridge to help them save lives and ensure business continuity during emergencies, so it’s no surprise that building trust is a key skill for Everbridge’s Sales team. 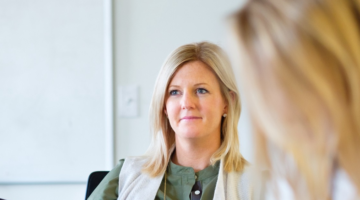 In the newly defined Strategic Account Executive role, sales professionals must also be able to build strong business cases for Everbridge’s largest customers and align the needs of stakeholders in various departments. While many technical teams are tasked with ensuring their products are running around the clock, few have the responsibility of a product that has the potential to save lives. 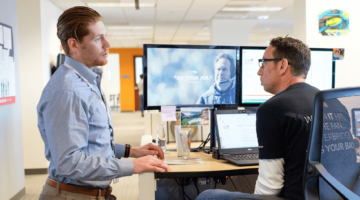 Everbridge’s SaaS Ops and Engineering teams discuss the demands of a “truly 24/7 shop”, the mission that motivates them, and the interesting challenges of an ever-evolving tech stack.